Known as Face-o-mat in the art world, Tobias Gutmann isn’t your usual caricature artist — in fact, he’s not even one at all. 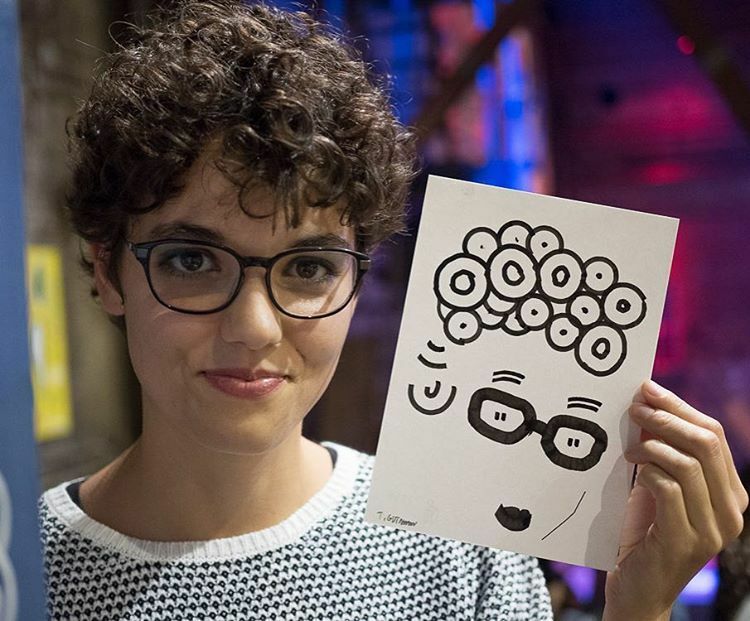 Instead of exaggerating facial features into cartoon form, he’s made an art out of simplifying them into abstract lines, circles, squares and squiggles. 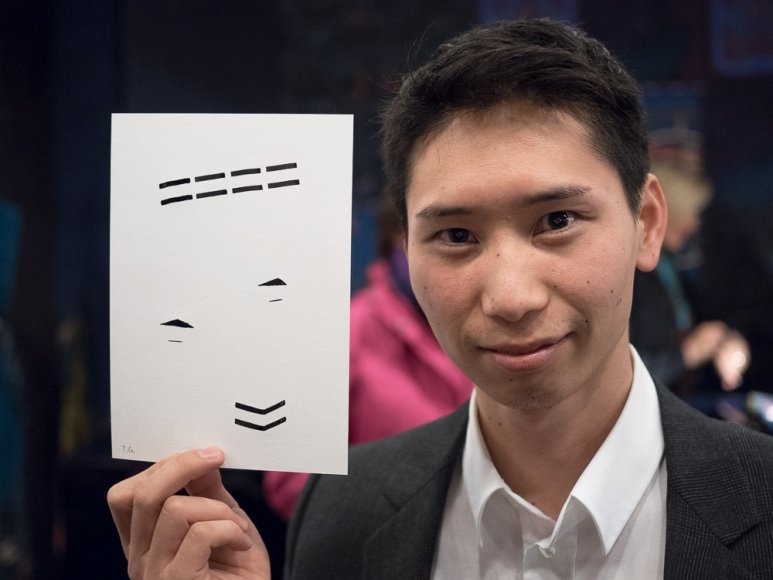 The Swiss artist came up with the Face-o-mat concept in 2012, winning the 2013 Golden Prize in the Swedish illustration competition ‘Kolla’! and a nomination for the Swiss Design Awards in 2014. The Face-o-mat is essentially an analog vending machine (made out of cardboard or wood) that Gutmann sits behind to draw his subjects. Viewing them through a rectangular cut-out, which serves as a frame of reference, he then processes their faces into abstract art and feeds the final product through a slot to the other side. 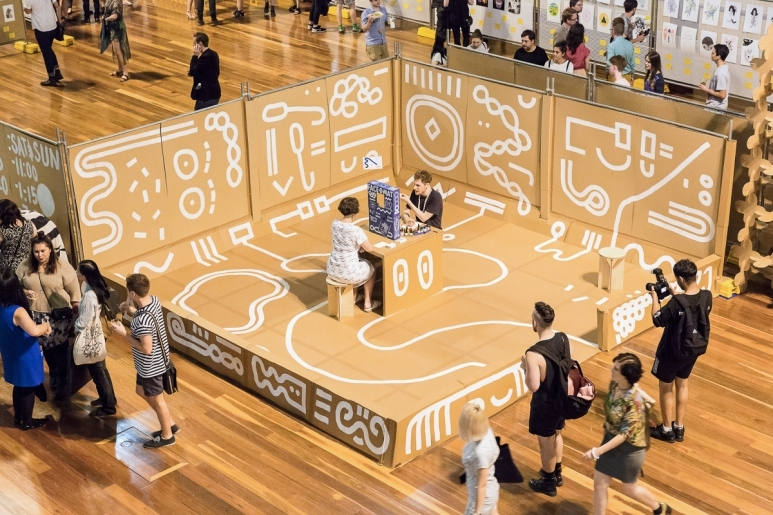 Popping up in museums, art festivals and galleries worldwide, the Face-o-mat has already been in Papua New Guinea, Japan and France last year, and its next stop will be Art Central Hong Kong this month. There, Gutmann will be drawing live in the middle of the fair’s Street Food Central for two hours per day from 21 to 25 March (see detailed schedule below). Only 20 participants will be chosen per day by ballot draw—for a total of 10 portraits per hour—so don’t miss your chance to see what features of yours (if any) will be captured by Gutmann. See the full schedule of performance art installations at Art Central Hong Kong. Subscribe to our weekly newsletter to stay updated every Wednesday.